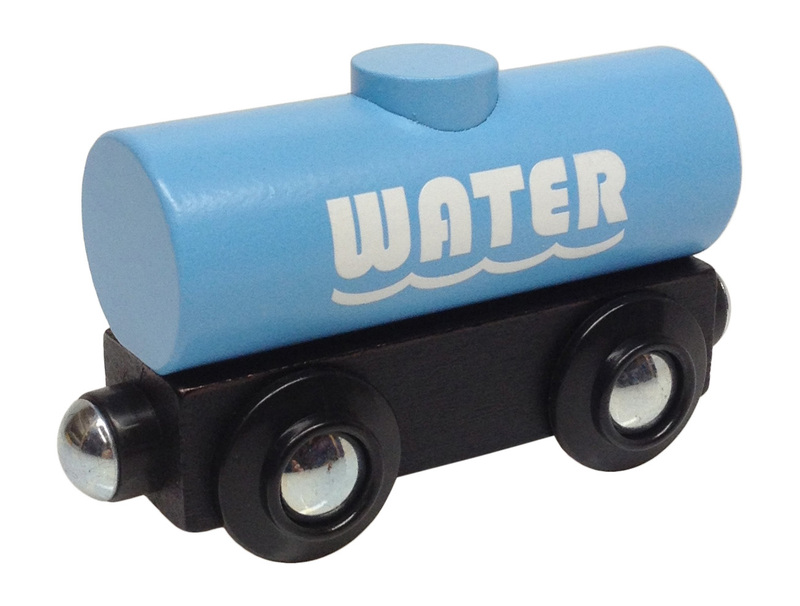 Water wooden train tank car. A favorite from the past, redesigned, reintroduced, and exclusively here. Approx. 3" long.